Here at Mambeno we love when you share your meal plan experiences with us. 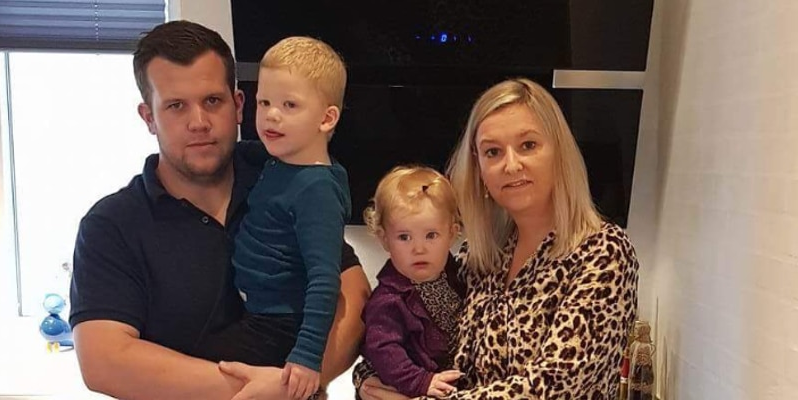 And one of the people who did, is 32 year old Sandra, who lives with her husband, Emil, and her children, three-year-old William and one-year-old Alma. And we think Sandra has done something quite cool – she’s halved the family’s food budget by using the Mambeno meal plans! Sandra and her family became members shortly after their son William was born. They chose Mambeno, as Sandra was looking for something family friendly and easy to make, and that would provide her with a complete shopping list for the week’s shopping. Before the family started with our meal plans, Sandra and her husband Emil had some slightly different meal habits. A halved food budget – and a new car! Sandra has now been using our meal plans for just over two years. And besides getting inspiration for varied dinners, the family has also more than halved their food budget, today spending just about £500 a month. If you want to emulate Sandra and save money on your food budget, these are her tips for how she managed to cut her family’s budget down so much. “Structure, planning and going through cupboards, fridge and freezer before shopping, has allowed us to more than halve our food budget, as we don’t waste food or splurge. I look forward to every Thursday, when the new meal plan comes out, and during the week I note down what basics and other items we’re missing. Thanks a million to Sandra for sharing her experience with us! If you want to try the meal plans yourself – and maybe, like Sandra, save on your food budget, you can try our meal plans for 30 days for free right here.